My hair is GROWING! Naturally! 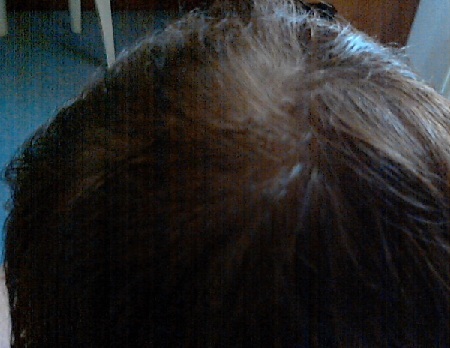 I felt it growing and found an old picture taken last summer and took a picture with my phone, my crown has thicker hair on my hair feels stronger, does not fall as much in the shower. Tea tree - rosemary - bay st thomas - thym - castor oil mixed in 50ml of coconut oil and applied to scalp for 5 months, a shampoo from WeledA and rosemary hair loss lotion Weleda everyday to refrech it unsetad of washing, i washed my hair twice a week only. since february 2012 started the mix of essential oils called Thicker Hair from UK Hair solutions about 5 months of twice a week application overnight and washing next day with the Powerhair sampoo from UK hair solutions also. That’s amazing, your scalp is nearly covered. I am on an essential oils treatment myself, i am so hooked to that stuff since my 8 years old son got really hurt at school, when fell playing basketball, they took him to the medical centre and checked theer was so broken bones so brought him home, he had a massive bruise on his knee, it was covering all his knee and coming down his leg, real ugly to look at, my wife stayed cool and applied some Helichrysum essential oil, she applied a couple drops to the bruise and gently rubbed it in with her finger tips. did that twice a day during the weekend and by monday when back to school the nurse was in chock and myself first could not beleive that no swallowing no even a shade of the bruise was still on his knee. I bought some books and plenty of little oils that i use for every day little issues. My wife was interested in it from the start but i never got into it, i stoped using aftershave and put two drops of Borage Seed Oil and tea tree oil in the palm of my hand, rub it and put it my face, i never had an ingrown or a spot after that. at least take some decent pictures to back it up. Your first picture is blurry and taken with poor lighting. much taken in the dark. They’re both pretty much worthless. Take both pics with GOOD lighting. Take both pics in the same location. Comb your hair the same way. And take the pic with your hair the same length. It’s not freakin rocket science!! It’s amazing how most people don’t get this! thank you for sharing, dont worry about the aggresive comments around here, plenty of people on the forum are paid to advertise big corporate labs like finasteride and everytime somebody is happy with a natural remedy they will come and give you shi…t …or some of them are just jelous, as it is not that easy to get results that good with herbal remedies. Company shills and spammers all. Yeah right…how is it going with your srilankan oil by the way? » Company shills and spammers all. It is very good for you man. I’m not promoting anything in this thread. and Blairo are obvious spammers promoting their BS products. The second picture is ridiculously dark, I don’t think it tells us very much at all. Want to get minoxidil 15, dualgen 15,minoxidil shampoo, minoxidil cream, polaris nr10, minoxidil 20, polaris nr09, minoxidil 10, dualgen 15%, polaris nr02? <a href="“http://www.minoxidil15direct.com”">Minoxidil15direct is a great portal to buy your hair solutions. Want to get minoxidil 15, dualgen 15,minoxidil shampoo, minoxidil cream, polaris nr10, minoxidil 20, polaris nr09, minoxidil 10, dualgen 15%, polaris nr02? 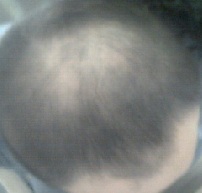 Minoxidil15direct is a great portal to buy your hair solutions. Robert? did you stop the treatment after the regrowth ? Could you please let me know if your hair falls off after you stopped, i am interested in trying out this herbal treatment due to many recommendations. I started it last month i m using it once a week only but you have been on it for nearly 2 years now, arenot you thinking of stopping it now that your hair is already growing? I hear a topical caffeine solution also blocks DHT. Anyone hear anything about that?